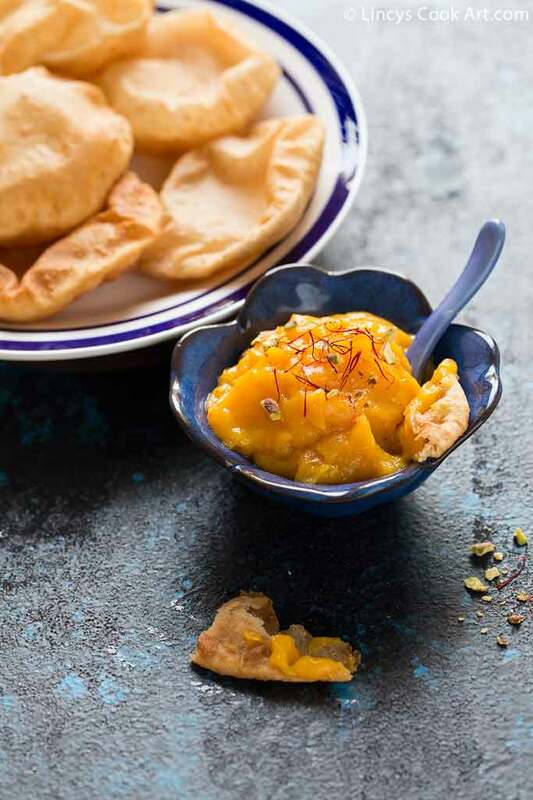 Aamras| Amras is a sweet side dish generally served with Pooris, and is prepared from fresh mango pulp. 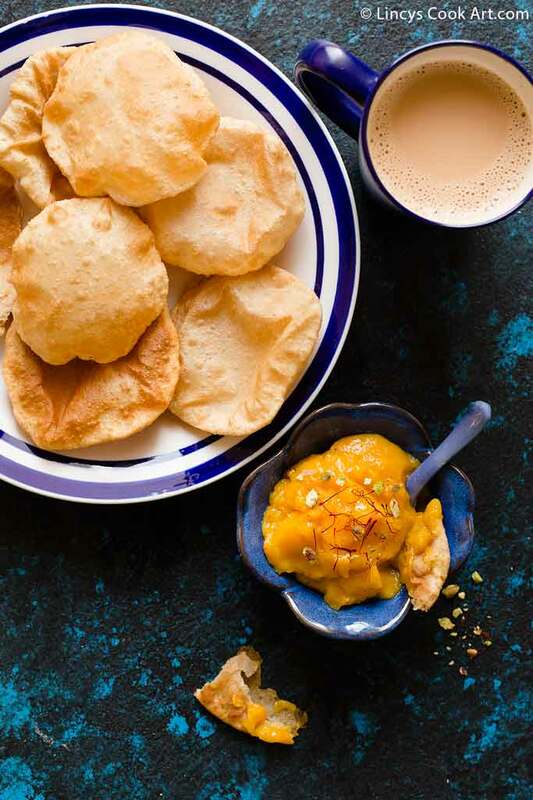 It is a very popular dessert in Rajasthan, Gujarat and Maharashtra. Traditionally the mango juice is squeezed with hand and blended with milk and consumed with chapatis or pooris. 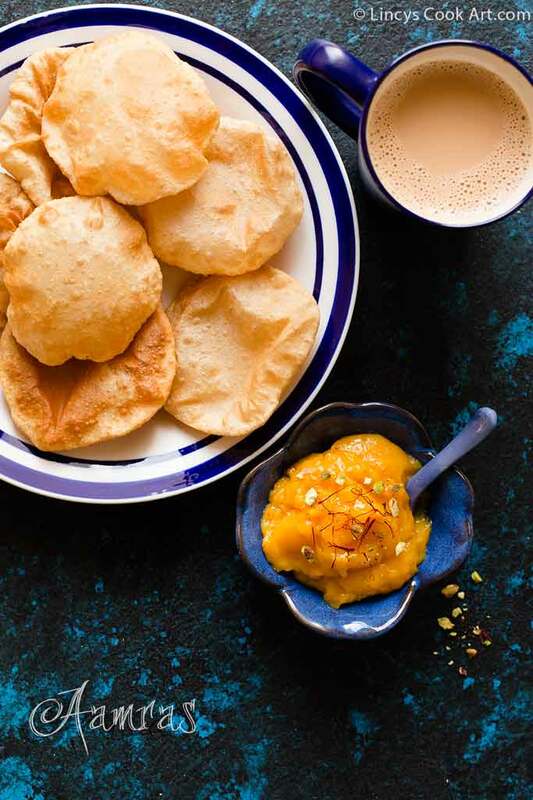 Here i have served the aamras with pooris as it is generally served like this. But you could pair this with chapatis or this could also be used as a dessert. I have shared other mango recipes Mango Falooda, Mango milk shake, Mambazha Pulissery recipes in blog. 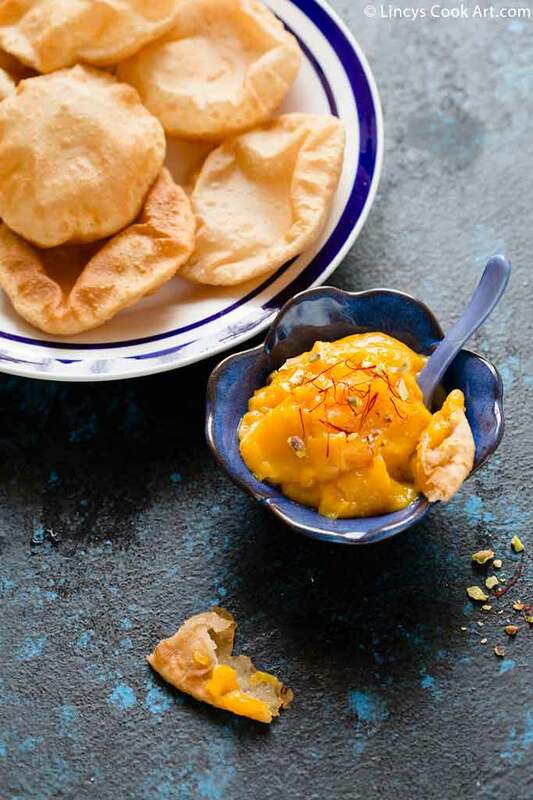 Also i have shared the tricks to make a perfectly Puffed Pooris. 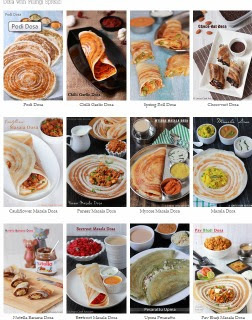 Do check, mix and match the combinations on before the mangoes totally vanish this season! Peel and chop the mango; crush the cardamom seeds. Add chopped mango, sugar, cardamom powder and saffron. Blend well to make a fine paste. If you feel the paste is thick, drizzle little milk or ghee and blend once and transfer on a bowl; garnish with more saffron thread and some pistachio if you like. Select less fibrous varieties like Alphonso, Sindooram, Badami..etc for this recipe.